Not only Ovechkin and Malkin can be proud of their beloved. In the summer, Katerina and Alexei had a wedding, a honeymoon in Paris and in the Maldives, and most importantly - moved to the United States. While the hockey player was preparing for the new season, his wife studied New York. Katerina was fascinated with the "Big Apple". It seemed that the couple was doing very well in New York, but Bereglazov was sent to the farm club "Hartford Wolf Pack." Let's hope that Alexei will soon return from Connecticut back to New York. 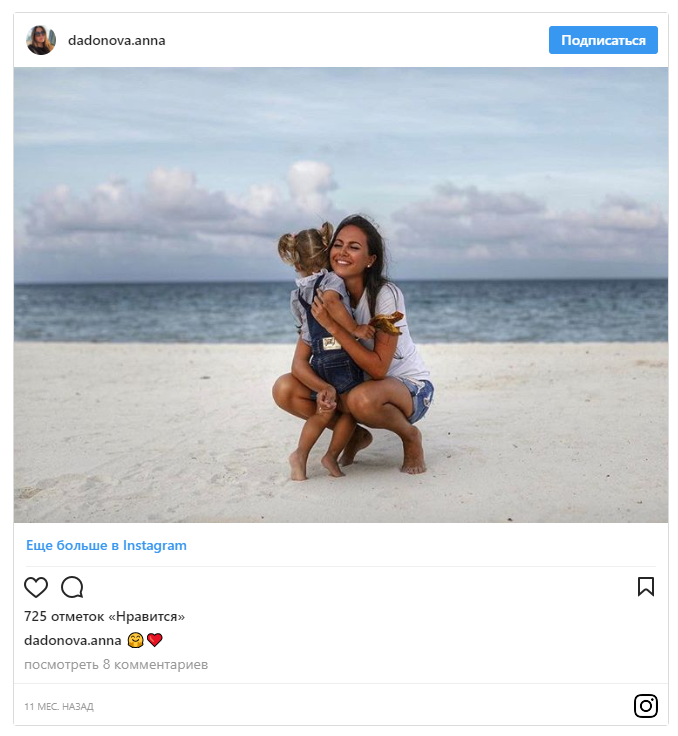 Every summer the Dadonov family spends in Florida, where the couple have a house, and this year they did not have to return to the rainy St. Petersburg. In the new season, Evgenii will play for the local team. In the summer, the country's main hockey pair threw a posh wedding, and in late August the Ovechkin family traditionally traveled to Washington, where Anastasia will run the house and help her husband once again become the strongest hockey player on the planet. In July, Kuznetsov signed an eight-year contract with Washington Capitals worth $ 62.4 million. Already in the new season, Evgeny will have to prove to the leadership of the Capitals and the fans that it was done for good reason. Wife Anastasia and daughter Sasha will do everything to help the striker succeed. Dmitry Orlov, like Evgeny Kuznetsov, signed an six-year contract extension with the Washington Capitals worth $ 30.6 million. A difficult season in the US capital is waiting for Dmitry, but his beloved wife will be next to him. Varvara herself will continue to participate in photo sessions and help relatives with business. 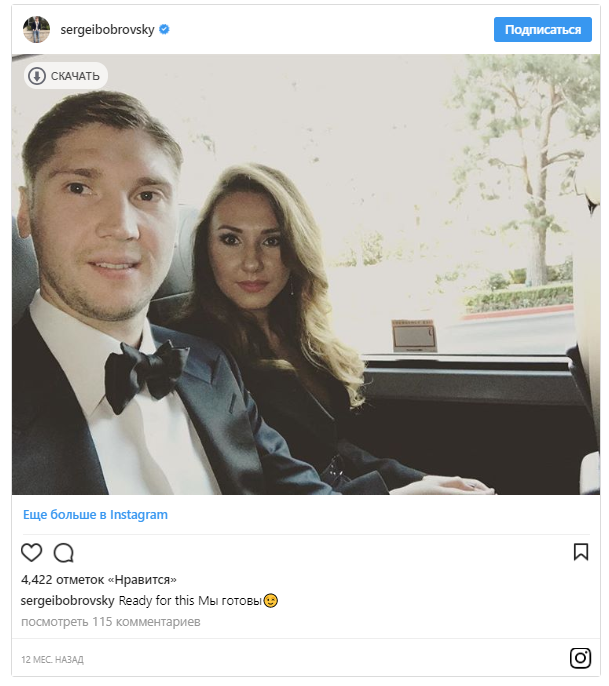 Varvara Orlova: at matches I shout "hold", and Nastya Ovechkina - "throw" Wife of defender Dmitry Orlov, Varvara - about her husband, career figure skater, life in America, friendship with Ovechkin and World Cup 2017. In the offseason, the 23-year-old hockey player surprised not only with his decision to leave for the NHL. Andrei went on holidays with the charming Alexandra - a student of the Plekhanov University. Mironov will surely conquer all the peaks with such a girlfriend! Sergei - an example of the ideal athlete, Olga - the ideal wife of the athlete. The girl once admitted that she does not have the time and energy for self-realization. She compared the wives of hockey players with Sancho Panza - Don Quixote's squire. According to her, she would like to engage in something creative, but not at the expense of her husband's interests. Here it is - love! In June, Evgeni won the third Stanley Cup in his career, and his wife, Anna Kasterova called the beloved "101st in the NHL," hinting that the husband wasn't on the list of 100 best players in the history of the league. For Anna, as well as for many fans in Russia, Evgeni is the best in the world. Margarita and Nikita liked living in Toronto so much that they decided to stay there for another seven years - Zaitsev extended the contract with Maple Leafs in the summer. Recently, the couple had a second child. The girl was called Vera. Now the Zaitsev family with the kids settles in Toronto and is preparing for a new season. Yana Tarasenko is called an ideal wife. The girl brings up two sons, dances, takes care of her husband and the comfort in the house. Yana's eldest son is professionally engaged in hockey. Well, he is training under the guidance of his father Vladimir. Barbashev is only 21 years old, and he has been a family man for several years. 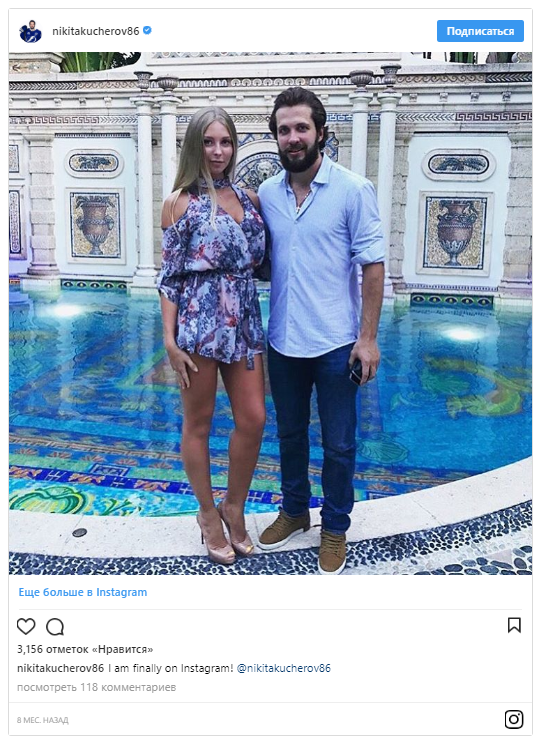 Barbashev's wife Xenia, according to the hockey player himself, is his main fan. Barbashev married fairly early, even by Moscow standards, not to mention the American standards, where people often start a family after 30 or even 40. Ivan and Xenia got married in the summer of 2014, when the attacker was not yet 20. The Barbashev family, however, don't plan to have children. In this matter, there's no need for them to hurry. "We recently had a conversation on this topic," Ivan says, "agreed on the fact that it's too early for the children." It takes time to earn money and save something before having children. " Xenia for a long time could not get an American visa and watched all the games of Ivan on the Internet, despite the early time of broadcasts. Now the couple lives happily in St. Louis. 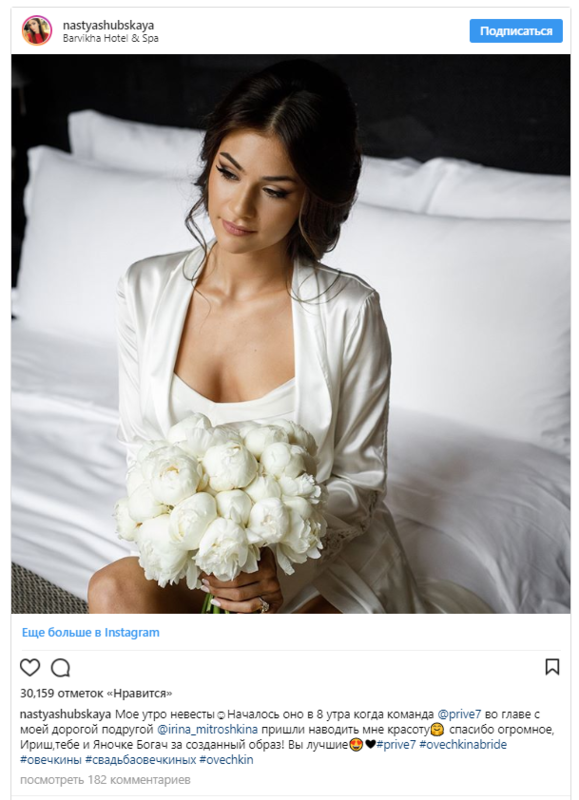 In April of this year, the Russian forward proposed to his girlfriend in Dubai. Polina agreed. In the offseason, Burmistrov moved to Vancouver, and now the couple settles down in Canada. 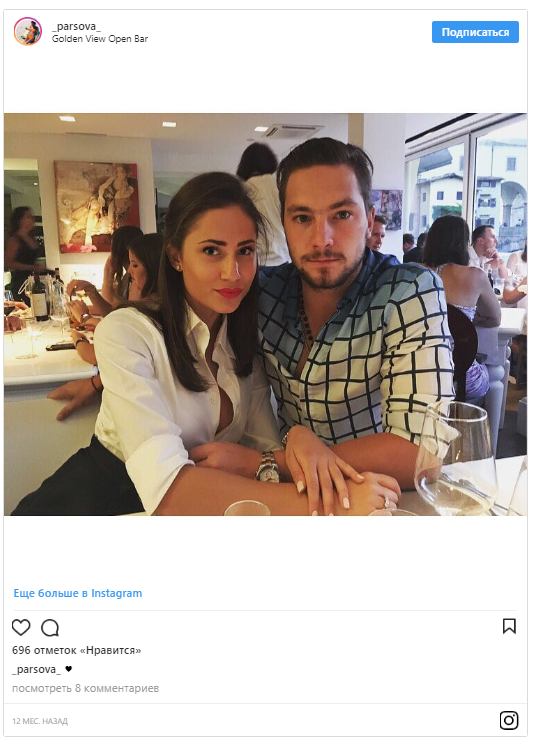 Alexander and Polina will play wedding in the summer after the end of the season. During the training camp Slepyshev injured the ankle and was out of action for a month. 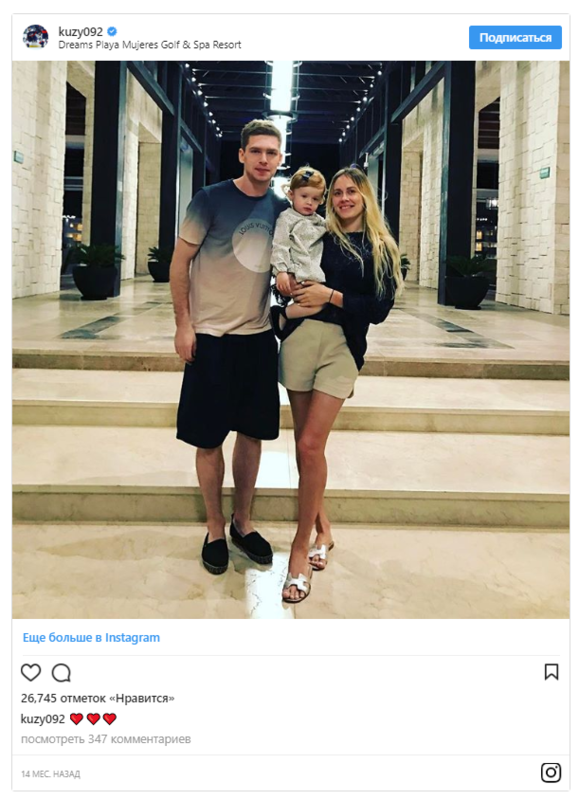 Anton's wife Julia gives him support through challenging times, because the season for the hockey player is going to be difficult - Slepyshev's contract terminate, and in order to get a solid agreement in a year, he must successfully play in this season. The best Russian in the NHL of the last season intends to score many goals. Kucherov has already stated that the goal of Tampa is the victory in the Stanley Cup. And he himself is ready to do everything for this. Wife Anastasia, in turn, will help Nikita succeed.